The growth in the gaming industry has meant growing competition across the board. Casinos need to take advantage of technologies, such as people counters, to help them analyze traffic and business performance and make informed decisions about the improvements they need to make to stay competitive. And competition is growing. According to the American Gaming Association’s report, State of the States 2018: The AGA Survey of the Commercial Casino Industry, although commercial gaming surpassed $40 billion for the first time in 2017, and 11 out of 24 gaming states reporting record annual revenues, tribal gaming facilities (not included in the $40 billion from commercial casinos) brought in a record $32.4 billion in 2017, a 3.9% increase from the previous year. In addition, the U.S. Supreme Court struck down a 1992 federal law banning the expansion of sports betting, paving the way for states and sovereign tribal governments to introduce new forms of sports betting. Several states, including New York, Maryland, and Massachusetts, are opening new commercial gaming facilities, and Pennsylvania enacted a major gambling reform bill that will allow satellite casinos, internet gaming operations, and video gaming terminals at locations other than commercial casinos, such as truck stops. With these challenge-creating trends for casinos, people-counting systems can provide the insights they need to optimize their operations with data on the amount of traffic specific casino attractions or areas receive. Here are four ways people counters can be beneficial to casinos. 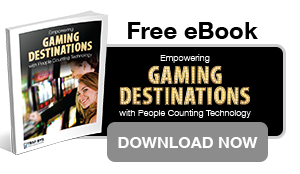 With people counters, gaming establishments can measure traffic at high-profile events to make sure they’re getting the right amount of bang for their buck. They can also get feedback on new attractions. 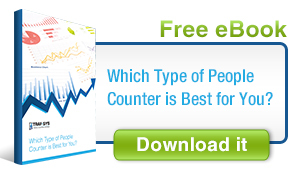 People counters can answer questions such as: How many people who come in are making purchases? And are they purchasing memberships, dinners, hotel rooms, or spa packages? 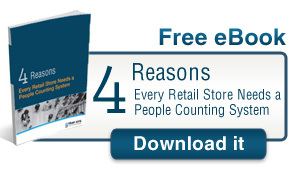 By generating reports from your people-counting software and monitoring these numbers, you can adapt your business strategy to optimize revenue. People counters can also help casinos assess their revenue sources besides gambling, including food and beverage sales and other attractions such as shows or shops. People counters enable you to track which dining areas are the most popular and how many people are ordering drinks at the tables. Get data on which show times are the most heavily attended or what times of day people are using the pool. 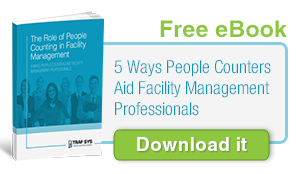 This information can help with staffing decisions, budget allocations, and promotional choices. Casino chains like Harrah’s and Bally’s can compare performance at one site to their other locations to find avenues for improvement. 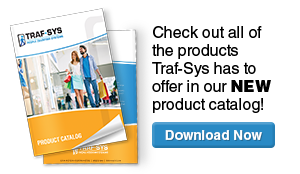 By generating traffic reports from people counters, locations can gauge the effectiveness of an attraction based on how well it performs at another location in their chain. Comparative data allows casinos to benchmark performance of specific revenue streams and standardize successful processes throughout the chain. In general, using a people counter can answer questions like: How are they selling and promoting their attractions, and how is it working? How much traffic are they receiving, and how are they accommodating it? Are we performing as well as they are? 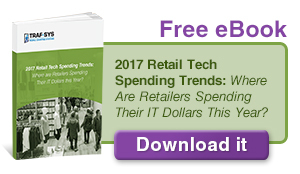 These questions can be answered by comparing peak traffic hours and peak transaction hours across unique locations. You can make conclusions by analyzing how they change and overlap. For example, by finding out how many people are dining at each location, you can identify underperforming restaurants. Then promote those dining areas using a method that’s working more successfully at other locations. Traffic: Generate visitor reports across locations and regions, even down to specific games or attractions at each location. The comparisons will reveal which areas are not measuring up and need improvement. Promotions: Once you know the most successful areas with the highest number of visitors, you can take a closer look at their marketing strategies. How (and where) did they advertise, and what other steps did they take to draw people in? Are they offering dinner specials, or merchandise discounts, or $20 in blackjack chips when guests book a hotel room? Performance: What are the people counter statistics for the locations with the highest revenue? This information can help determine the best ratio of staff to visitors, for example, and provide additional ways to analyze revenue patterns. 3. Keep tabs on different areas. 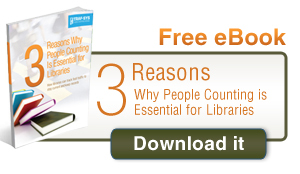 People counters can detect how many people enter certain areas. Casino owners and managers can generate reports on the amount of traffic received by their hotel rooms, concert hall, dining area, slot machines, card tables, pool area, spa or salon. 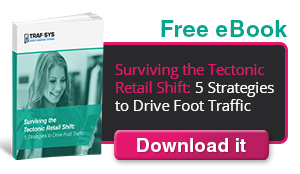 They can learn which areas are lacking and brainstorm ways to attract more traffic to them. The more traffic comes in and out of each area, the more opportunities casinos have to encourage their customers to spend. They can also learn which areas are doing well and concentrate money into those areas to maximize profits. Overall visitors: The “big picture” numbers for daily, monthly, and yearly volume can be especially valuable to stakeholders and others with a vested interest in business results. Visitors by period: Knowing how many patrons come in by the hour, day, week, or month enables prediction of peak demand so that staff can be scheduled accordingly. Visitors by zone or game: Overall numbers can be broken down to the level of specific games or areas such as blackjack and poker tables, roulette and craps games, or slot machines. Casinos can gauge interest levels and strategically focus on the most popular games. Analysis of visitor traffic patterns can also suggest potential improvements to the casino layout. For example, managers could put the most frequently played games toward the back of the house, in the hope that visitors will be drawn to other areas as they pass through. Or if people are often waiting to use the slot machines but not playing keno, perhaps keno should be taken out to make room for more slots. 4. Keep track of time and labor. During which times does your establishment see the most traffic? If your dining area sees the most traffic during dinner time, then offer dinner specials to create upselling opportunities. If your spa only gets customers during the mornings and afternoons, then keep it staffed during those hours and close it at night. 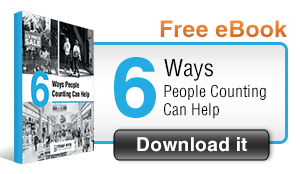 You can reduce labor costs by making sure that you aren’t paying employees just to stand around when business is slow. You also want to ensure adequate staffing and security during busy periods. Casinos, hotels, and resorts often have thousands of employees – having them all working at the same time is unnecessary and wasteful. You can also analyze hourly footfall and evaluate individual employee performance in order to reallocate labor in your establishment. In doing so, determine which of your employees should be scheduled during peak times. In an environment that is becoming intensely competitive, casinos need to take advantage of technology that can give them an edge. 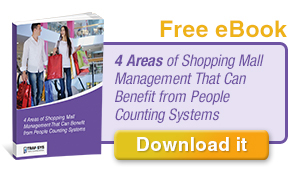 With people counters, owners and managers can make the best informed decisions to optimize their business. Traf-Sys has provided people-counting solutions to more than 7,000 locations in a variety of industries, and we are familiar with the particular needs of commercial gaming. 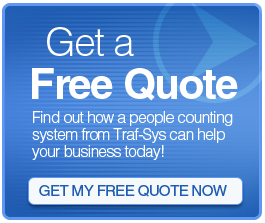 Contact a Traf-Sys representative today to learn how you can add the power of people-counting capabilities to your casino.